Save money on your weekly shopping trip! The cost of a small basket at the supermarket can be nasty surprise. Unfortunately though, we all need to eat. Here are a few tips that I have put together which will help save you some money on your weekly shopping trip. #1 Don’t shop on an empty stomach. 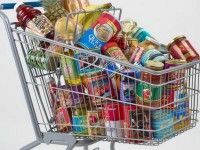 We are all guilty of this but you are far more likely to fill your trolley with items you don’t need just to satisfy pangs of hunger. And don’t forget that cheeky snack that you had on your way round. 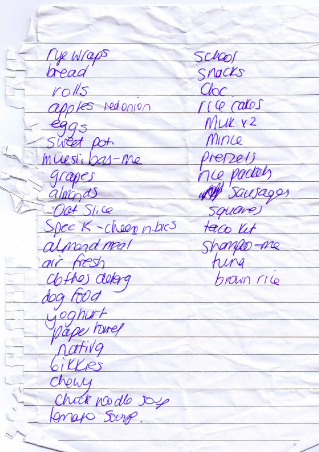 #2 Get out a pen and paper and make an old fashioned shopping list. This will be more effective if you create a meal plan. If you stick to it, you will only be buying what you need for the week/month and only food that complements what you already have in the cupboards at home. #3 Know your way around the store. Supermarkets are designed to make you walk around the entire store, picking up items along the way. Generally, essential items are kept on the outside and pre-packaged non-essential items in the middle. You will save money by knowing where the items are and sticking to the outside. #4 Let your eyes wander. Items that are more profitable for the supermarket are generally placed at eye-level. This means that they will be more expensive for you and not necessarily better quality. Look up and down to get the best deals. #5 Be aware of sweet temptations. 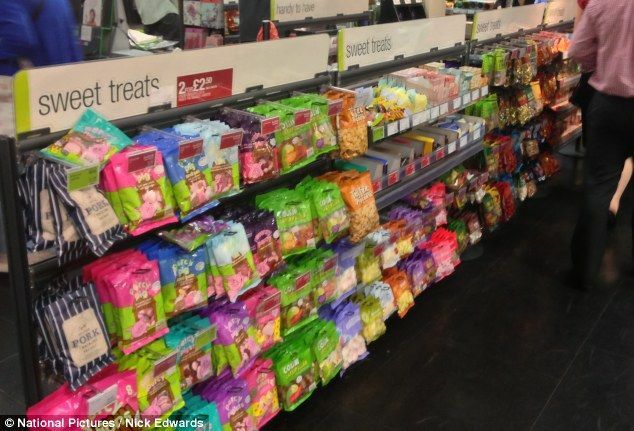 Chocolate, sweets and magazines are purposely put at the checkout to tempt customers to buy them while they are waiting in line. I know that I can never resist a chocolate bar after a stressful trip to do the weekly shop! #6 Become a loyal customer. Most supermarkets have loyalty cards which allow you to collect points every time you shop. If you’re like me (despite having loyalty cards for EVERY supermarket possible) it can take a while to add points up, but you do get money off vouchers every now and then and if you shop in that store anyway then you may as well collect them. #7 Don’t give into the temptation of offers. 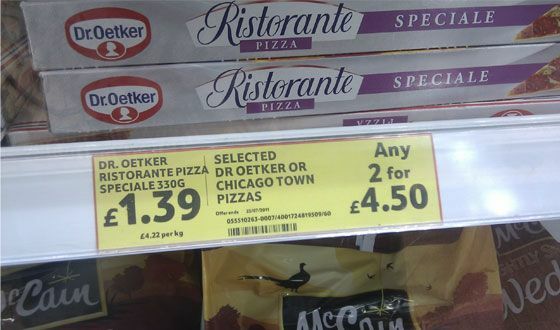 Supermarkets often advertise deals such as ‘buy one get one free’ or a discounted rate if you are buying multiple items. Remember, it is only a saving if you actually need the goods. And always double check that it is actually a better price! #8 Shop at a supermarket that price matches. A number of the big supermarkets (Sainsbury’s, Tesco and ASDA) run schemes in which if a competitor offers the same branded item at a lower price then they will give you the difference in the form of a voucher. You may have to this online so it pays to hang on to your receipts. #9 Time your shopping trips to save more pounds. Supermarkets have different times of the day when they mark down goods. The biggest savings are just before the store closes but see if you can work out which other times items are getting yellow stickers put on them – you can generally save anywhere between 25% and 75%! Staff working on the shop floor may also be authorised to give discounts for items which are damaged or coming to the end of their sell-by date. They won’t help out rude customers so be nice and keep your eyes peeled! Just because an item is branded or has fancy packaging doesn’t mean it is better – often manufacturer’s brand and own brand goods are made in the same factory. Some of the ingredients used may be more expensive and the packaging is designed to make you feel like you are buying a ‘luxury’ item but challenge yourself to downgrading and I bet that you can’t tell the difference! Remember, that it is a supermarket’s job to make money. Next time you are filling your trolley keep these tips in mind and you will come away with a bit more change in your pocket!